I guess you can say the weather has been improving lately but to be honest I can't believe we are only a few days away from official meteorological summer; temperatures need to rise asap! When it comes to fashion we have all bravely put away our winter coats and start bearing the still rather icy breeze with lighter clothes and layers (see 5 Tips For Transitioning Your Wardrobe Into Spring). In terms of beauty, there are a few things we can do differently too in order to adapt our beauty regime to the warmer months ahead. Spring and summer are the perfect time to rock a lighter base, get some use out of that waterproof mascara you've hardly ever touched and really switch things up. Here are a few tips to transition your beauty regime to the sunny-ish seasons. This may be an obvious one but you'd be surprised how many people totally oversee it. I personally like using SPF all year round, but if you don't use it during winter now it's the time to start doing so. Additionally, winter usually leads to drier skin meaning a thick extra layer of moisture is almost always needed. During summer however, you might not have to pack so much cream and can instead go for something lightweight and still moisturising. I love the Nu Skin Moisture Mist* (£14) which is an easy moisturising spray that can be used on your face, hair and body! Its versatility is amazing, and I love how quickly my skin drinks it up, definitely a refreshing treat on those particularly hot days. Heavier foundation, a fuller coverage and matte finish are things I often go for in the cold months. 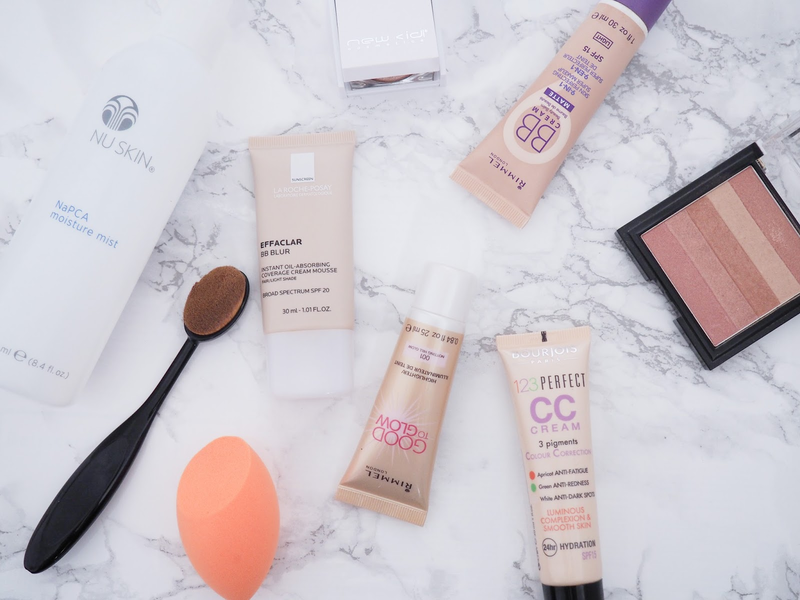 For summer however, I am all about dewy skin and lighter finish. A light foundation works well (you can mix some foundation with moisturiser) as does a BB/CC Cream. My go-to option is the Bourjois 123 Perfect Colour Correcting Cream (£9.99) which also contains SPF15 saving me an extra step in the morning. Whilst the warmth of your fingertips makes applying foundation simple during winter, in steamy temperatures the right applicators will keep you a lot cooler. 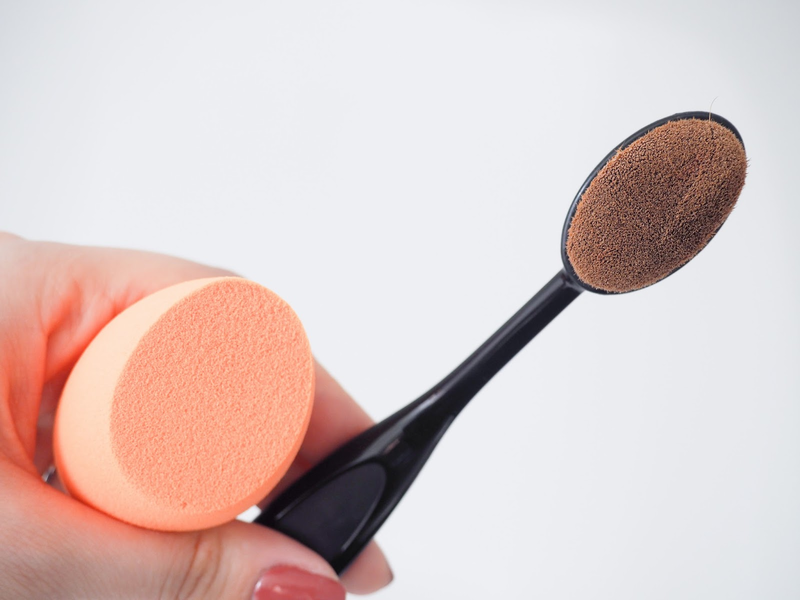 The Real Techniques Miracle Complexion Sponge (£5.99) is my favourite for applying foundation; the dampness cools and de-puffs my skin and provides a light and dewy coverage. Similarly, the Oval Makeup Brush (£4.86) containing soft synthetic bristles that are so densely packet, ensures my lightweight foundation stays on its surface rather than sink into the base. The flawless finish is great and I adore how inexpensive this very trendy brush is. Just like you started wearing more coloured outfits, leave aside the vampy shades for both lippies and polish and go instead with lighter pastel colours. Bright lipsticks are always a good idea and for nails, see my Must Have Spring Nail Polish Shades. If being blessed with combo skin wasn't enough, I too have oily eyelids. 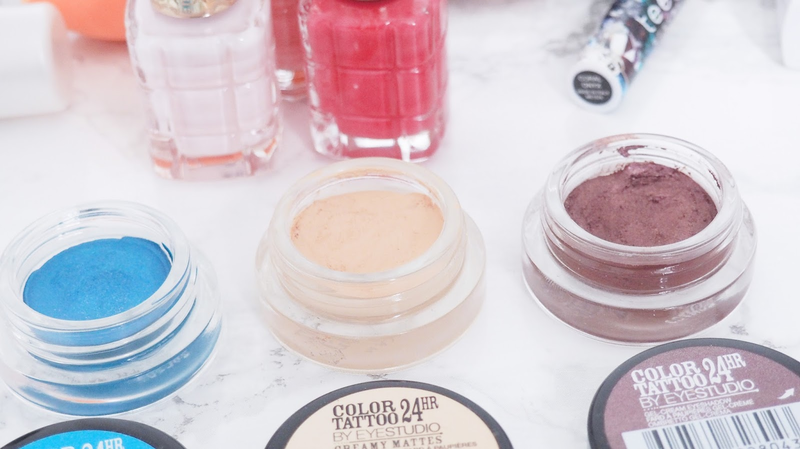 On weekdays I don't have time for eyeshadow primer so instead I always find myself reaching for cream eyeshadows, especially the Maybelline EyeStudio Color Tattoos (£4.99) which are extremely easy to play with and super long lasting. Even melting temperatures won't melt these babies off! Any extra tips you can think of? Share them with me below! I've been seeing slot of gurus are using the makeup brush to apply their foundation is looks so cool! I personally only use a sponge to apply my foundation but definitely want to try that! These are all wonderful tips, Pam! I think the idea of changing up the skincare routine to accommodate the transitioning weather is pretty interesting, seeing as how I've never needed to do that before, what with living in an equatorial country and all. Bringing colour back is also not much of an issue for us since colour IS the standard here. Taking away colour on the other hand...haha! Great tips hun. I have a dupe of the Real Techniques sponge and it being damp whilst applying foundation makes all the difference in this weather. Cream eyeshadows are my easy go to in the mornings as well. Perfect when it is hot outside. This is amazing, Pam! And yes, I tend not to pile up the moisturizer and my skincare routine is very ample in the warmer months. I also tend to start using cream eyeshadows and use only one shade, mascara and a bright, bold lipstick instead of the whole shebang of 3-4 eyeshadows, blend, blend, blend. LOL! The simpler the better! Nice post, I've been trying to get some new products for the summer as well. I've never used the ne skin moisture mist but I might give it a try. thank you for your comment on my blog :D love your blog is so cute ! Wow those are such amazing tips thanks for sharing. I love the Maybelline Color Tatoos, they're so good! Amazing post and gorgeous make-up product. I've been switching up my moisturizer as well! My skin was so dry from the desert and winter. Oh Pam, oily/combo skin and oily lids are the bane of my life! The mist sounds lovely! I really want to try that oval makeup brush/spoon thing! Great post! Thanks for your tips! I love the color tatoo's by maybelline, I have the very same shades, lol. Also love the real techniques sponge. So this new oval brush is worth all the hype then? Great producets! Love your post! I have oily lids too! I feel you.. I didn't know cream shadows can be used for oily eyelids, I've always thought they would make our lids more oily. This is all great advice, Pam! Changing up my skincare with the seasons is essential! These are such good tips! I definitely need to switch up my skincare routine! Great tips! I use a sponge too. Feels fresh! Of course changing the skincare is good, winter/summer. Great tips Pam, especially the eyeshadow, it never lasts in the summer!! These are such great tips Pa. The oval brush looks amazing and so densely packed like you said. I love it and i love the warm months lipsticks. Very pretty. I need to get myself an oval brush! I have heard so many good things! This is such a helpful post hun! That oval brush looks really interesting, I might get one and test it. 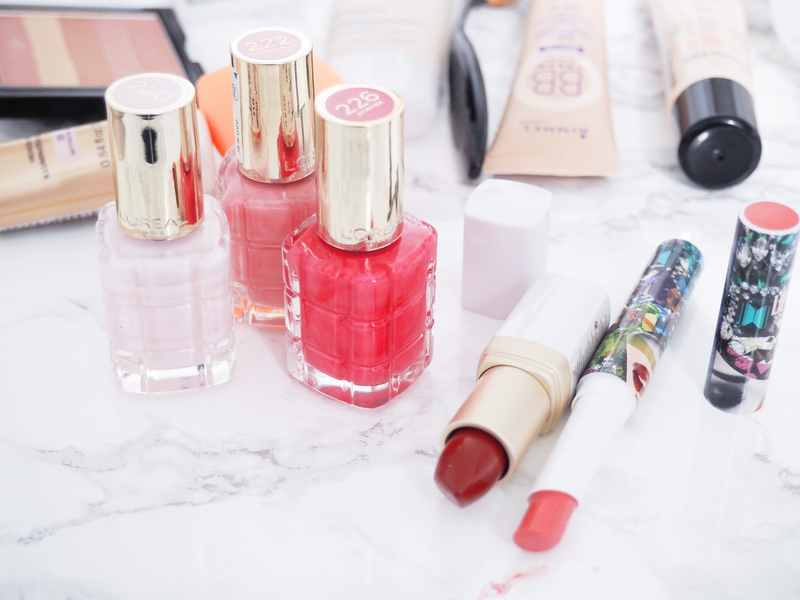 I always go for a lighter base in the summer and the CC cream from Bourjois is my favourite. Great tips, I love going foundation free. Just concealer here and there. Lots of highlighter and glossy lips and bronzy eye look. Oh how I love summer.